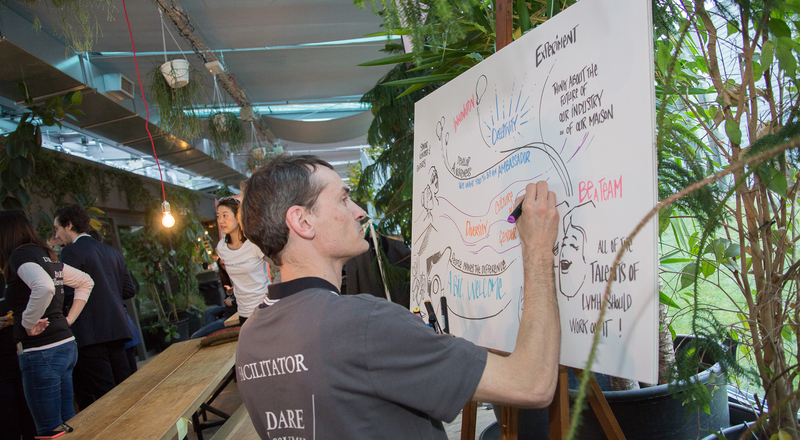 750 candidates, 60 talents of 14 different nationalities, 28 Maisons represented… The LVMH Dare (Disrupt, Act, Risk to be an Entrepreneur) program is back for three days of intense co-creation. 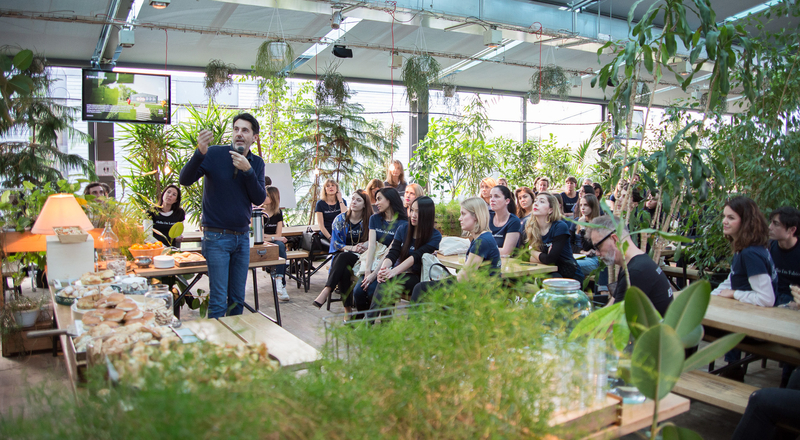 In conjunction with International Women’s Day, the latest edition – DARE EllesVMH – draws on the power of open innovation and entrepreneurial spirit to improve gender representativeness in top management within the LVMH Group. 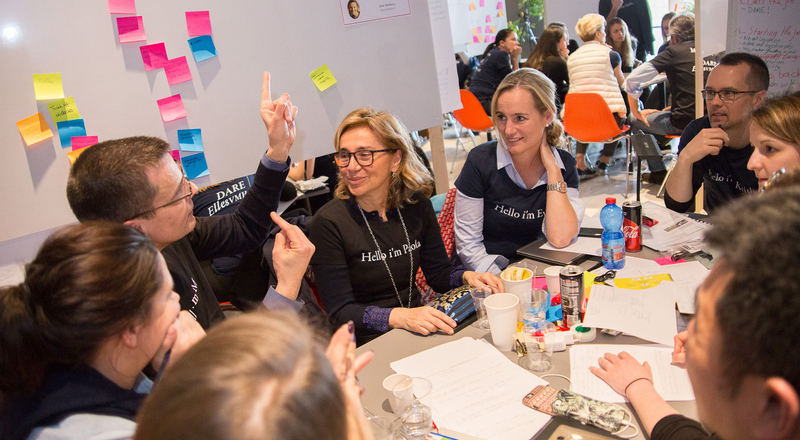 The event is taking place at H-Farm, an entrepreneurship space near Venice, Italy, and will be covered live on LVMH social networks from March 6-9, 2018. 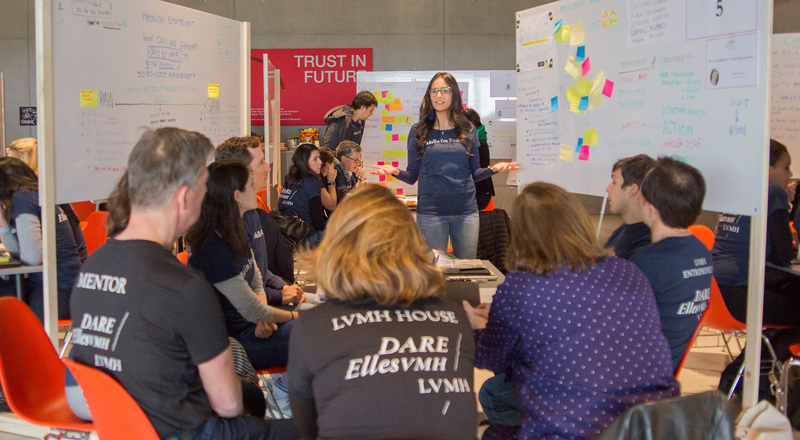 Created in 2017, LVMH DARE challenges Group managers to turn their innovative ideas into a viable project. 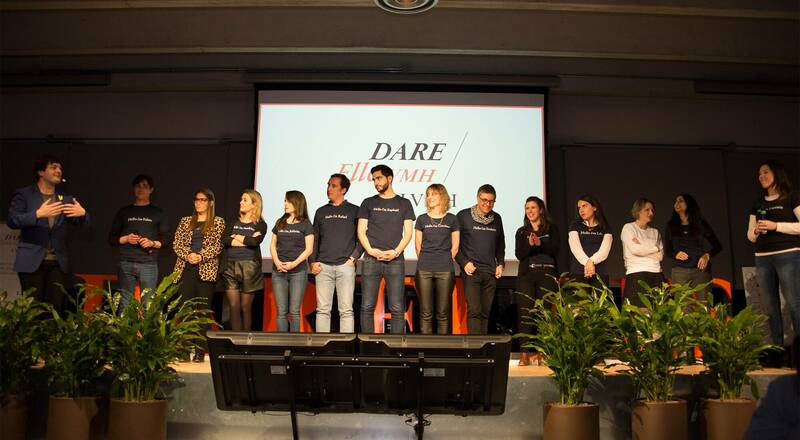 Following the success of the previous two editions in July and October 2017, the Group has launched a third chapter dubbed DARE EllesVMH, this time on the theme of gender representation within the Group. 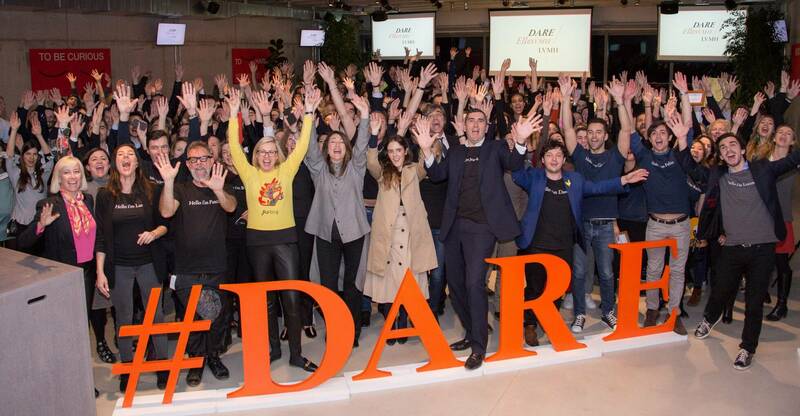 The 60 international talents participating in DARE EllesVMH from the Group and its Maisons will apply innovative and collaborative ways of working as they share their skills and expertise. They were selected from nearly 750 candidates on the basis of the innovative solutions they proposed to address the challenges of gender diversity. 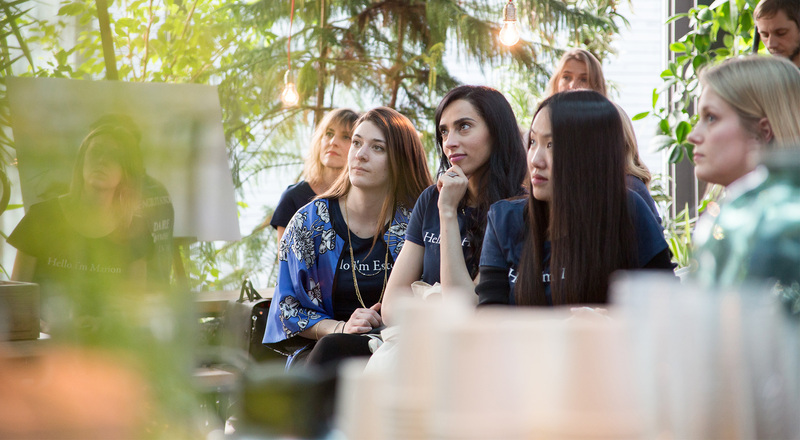 The objective is to co-create projects inspired by a startup model and to leverage these new ways of working to achieve the objective of 50% women in top management positions at LVMH by 2020. The participants will be joined by 16 students from partners schools in Italy (Bocconi, Politecnico di Milano, Marangoni, Ferrarra University, Luiss Guido Carli and Firenze Universita). 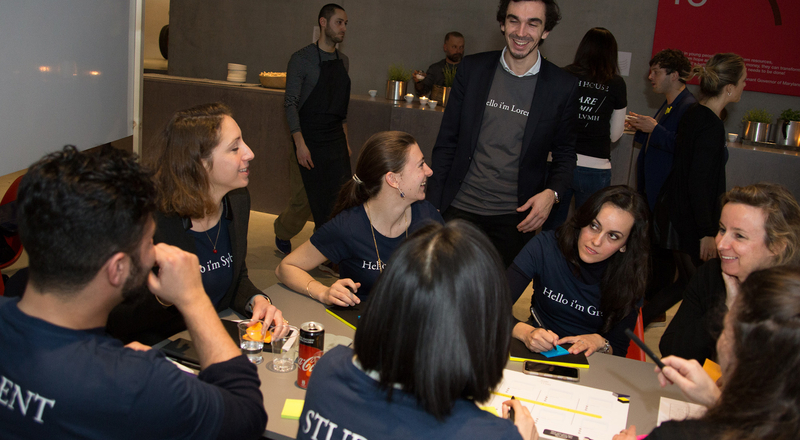 Challenged by 12 mentors – senior executives from LVMH Maisons and outside entrepreneurs – the participants will refine their business models and prepare their pitches to the final jury. 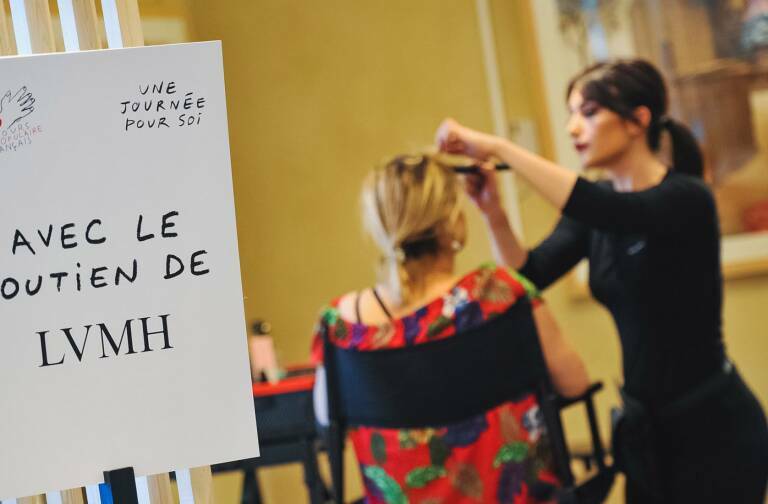 Comprised of members of the LVMH Executive Committee, along with senior executives from the Group and its Maisons, the jury will give awards to three teams during a ceremony on March 8, International Women’s Day. DARE EllesVMH bridges two founding initiatives for the LVMH Group. “DARE”, for Disrupt, Act, Risk to be an Entrepreneur, is an initiative that blends open innovation and professional development. 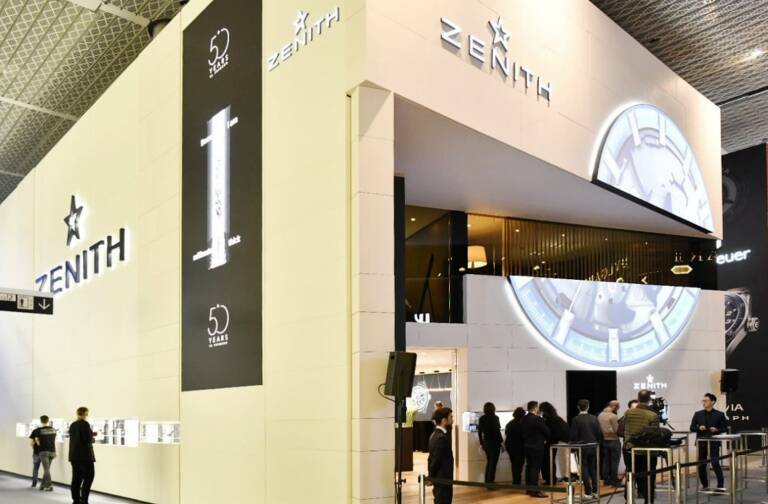 It was created in 2017 to allow LVMH managers to transform innovative ideas into concrete projects. The “EllesVMH” program was launched 11 years ago to support the professional growth of women in all positions and at all levels of the organization. 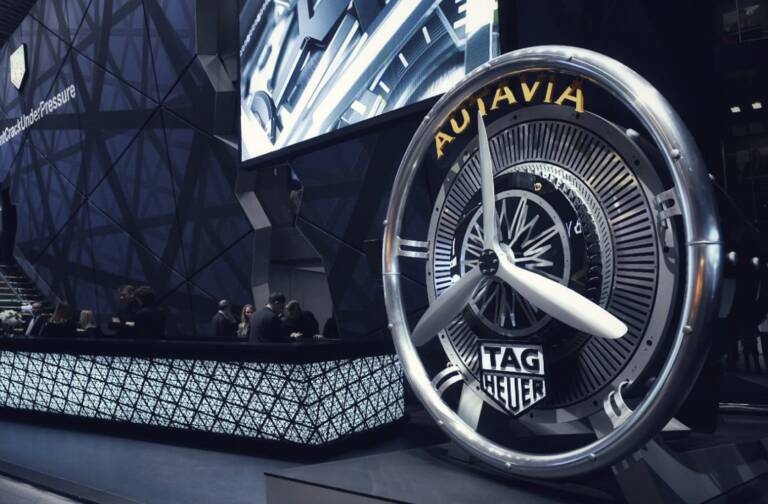 Follow the event live on the LVMH Twitter and Instagram LVMH accounts. The 60 international participants from the Group and its Maisons arrived at H-Farm for 3 days of intense team work and co-creation! Following an ice-breaking session, all participants presented their idea of innovation to their peers. The 12 most convincing projects have been selected and will be further develop. Good luck everyone! During Day 2, the 12 teams moved forward with their projects. 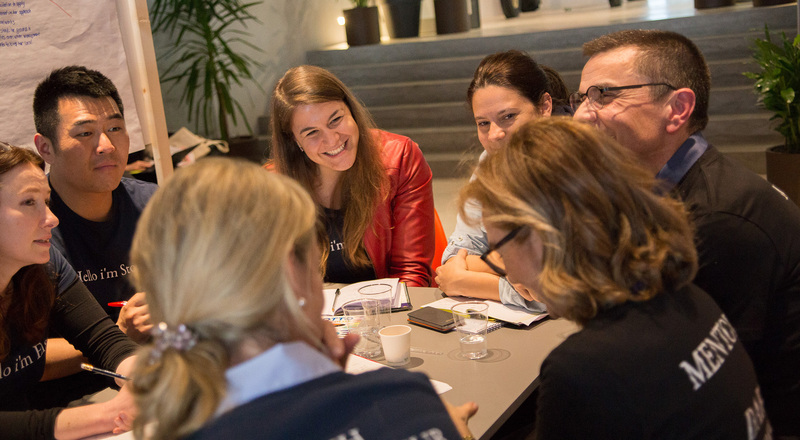 During a mentoring session at H-Farm, 12 senior executives from LVMH Maisons and external experts gave them support and provided advice. 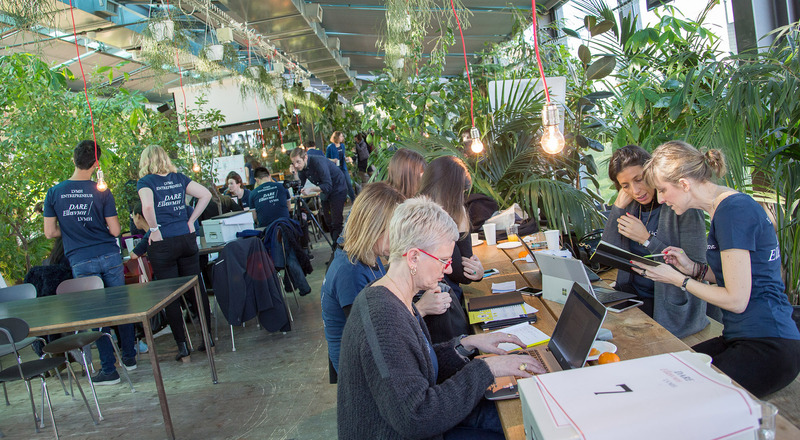 On the third day, participants put the finishing touches on their projects before delivering their final pitches to a jury comprising members of the LVMH Executive Committee, senior executives from the Group and outside experts. 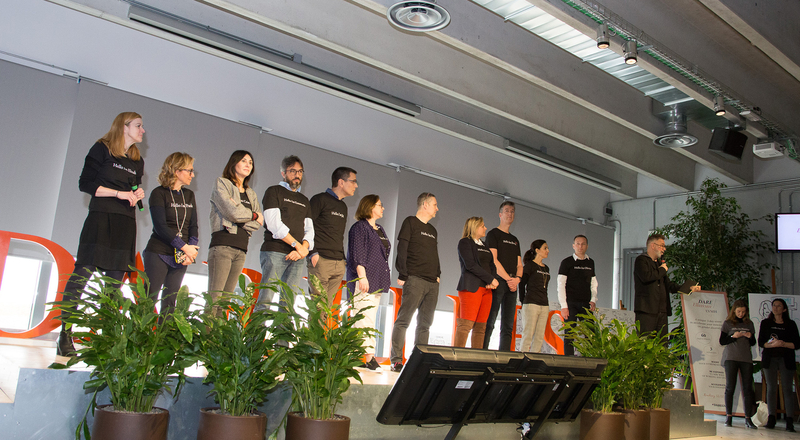 The final ceremony, which took place on International Women’s Day, culminated with the announcement of the three winning teams – bringing together talents from different LVMH Maisons – which received awards for their innovative ideas: one dealing with evaluation of performance, second one on eliminating gender bias, and a third one on a digital application for mentorship.